First spoiler for the May 2019 Umai Crate + coupon! Fifth spoiler for the April 2019 Umai Crate + coupon! Fourth spoiler for the April 2019 Umai Crate + coupon! Third spoiler for the April 2019 Umai Crate + coupon! Second spoiler for the April 2019 Umai Crate + coupon! First spoiler for the April 2019 Umai Crate + coupon! Fourth spoiler for the March 2019 Umai Crate + coupon! Third spoiler for the March 2019 Umai Crate + coupon! Second spoiler for the March 2019 Umai Crate + coupon! First spoiler for the March 2019 Umai Crate + coupon! Fifth spoilers for the February 2019 Umai Crate + coupon! 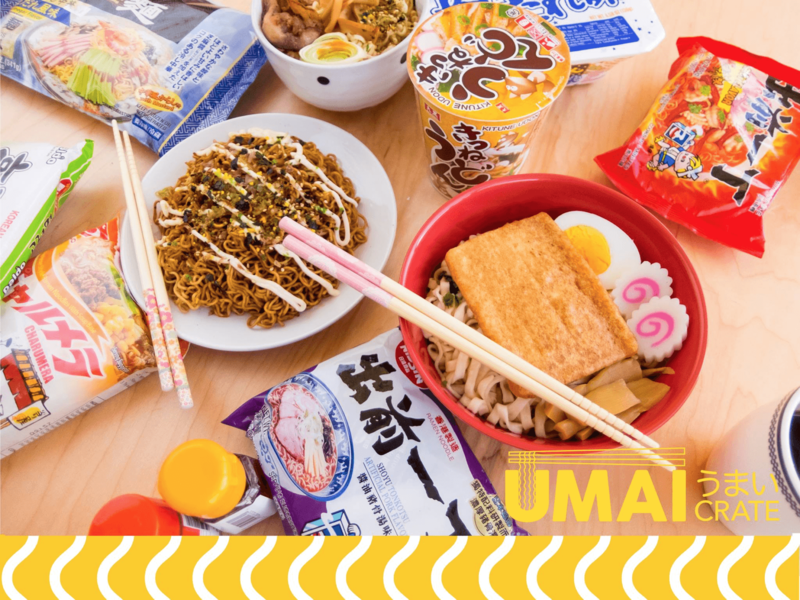 Fourth spoilers for the February 2019 Umai Crate + coupon! Third spoilers for the February 2019 Umai Crate + coupon! Second spoilers for the February 2019 Umai Crate + coupon! First spoiler for the February 2019 Umai Crate + coupon! Fourth spoiler for the January 2019 Umai Crate + coupon! Third spoiler for the January 2019 Umai Crate + coupon! Second spoiler for the January 2019 Umai Crate + coupon! First spoiler for the January 2019 Umai Crate + coupon! Fifth spoilers for the December 2018 Umai Crate + coupon! More spoilers for the December 2018 Umai Crate + coupon! First spoiler for the December 2018 Umai Crate + coupon! Third spoiler for the November 2018 Umai Crate + coupon! Second spoiler for the November 2018 Umai Crate + coupon! First spoiler for the November 2018 Umai Crate + coupon! Fourth spoiler for the October 2018 Umai Crate + coupon! Third spoiler for the October 2018 Umai Crate + coupon! Second spoiler for the October 2018 Umai Crate + coupon! First spoiler for the October 2018 Umai Crate + coupon!